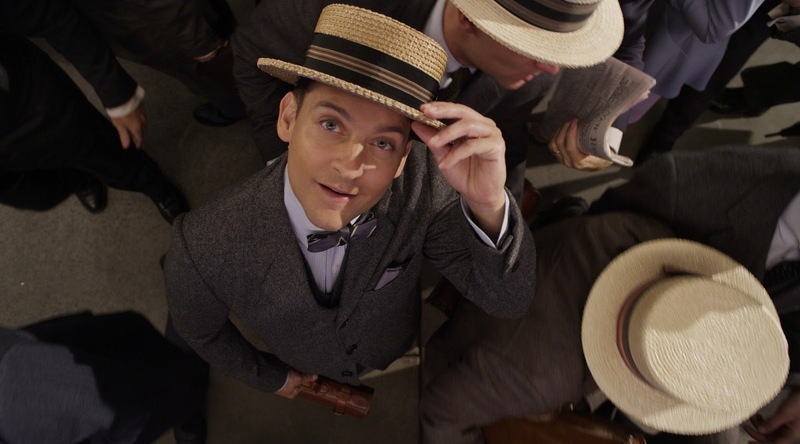 Wool and Wheel: The Great Gatsby: book and film discussion. Earlier this week, I read The Great Gatsby for the first time. It's one of those books that I've always felt that I should read, because it's a classic. I didn't read it in high school like most people did. Over the past year or so I've been more anxious to read it, especially since a film adaptation came out last year. I'm not quite sure what I thought about it. I had heard so much about it, obviously, but it wasn't exactly what I expected (especially pacing wise). I don't think I really understood a lot of the symbolism and metaphors in it. Honestly, I read because I love stories. Not because I'm looking for hidden meaning or symbolism in them. Sometimes I see something a little deeper in a book, and that's fine, but I don't exactly go looking for it. But in this case, I was reading an old student copy that I got for free, and it was underlined and marked like crazy. Maybe I was too focused on the fact that I might be missing something. Or maybe I would get more out of the book if I actually did study it? I guess I come away feeling slightly underwhelmed. The writing was nice in places, but I feel like I wasn't really in the mood for vague, flowery language at the time. And other times it went in an apparently pointless direction (like the list of people who attended Gatsby's parties...that list of names meant nothing to me!). I don't go for tragic love stories. I never have. I have no sympathy at all for the selfish characters in stories like Romeo and Juliet and Wuthering Heights and Gone With the Wind. And with this book, it's more than just a tragic love story...it's adultery. I'm a Christian, and naturally I bring my beliefs with me into everything I read. I hated the infidelity in The Great Gatsby. Most particularly: it made me sick how Tom went on against breaking up the family ideal and how shocked he was at the idea of his wife being unfaithful...this is a man who basically started cheating on his wife on their honeymoon and who has kept a mistress for years. I kept thinking, do none of these people take their marriage vows seriously? Why even get married if it's assumed that nobody is going to be faithful to each other? Though I really couldn't, I wanted to root for Gatsby and Daisy. If only they had got married in the past when they had the chance. 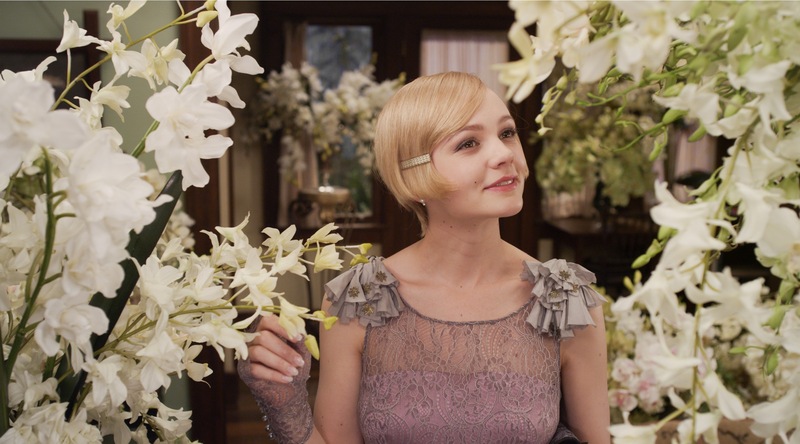 That's one of the reasons why I found Gatsby endearing: I think he truly loved Daisy, even though his behavior bordered on obsessive. They would have been good for each other, and I think they would have had a happy marriage. But Daisy made her decision and married Tom (the jerk), and though I almost want to justify Daisy and Gatsby's relationship because they would have been so perfect for each other (and because her husband was unfaithful), I just can't. But that's one of the biggest reasons why I liked Gatsby: his genuine love and concern for Daisy. He wanted to protect her, and he wanted to go back and start over, acting like the past few years never happened (though of course that would have been impossible, especially considering Daisy and Tom have a little girl together!) He was always so hopeful and somehow charming. But mostly he was just one of the most pitiful characters I've ever read. Especially his end. Oh my goodness...the contrast of his crowded parties to his empty funeral! I hate that during his life he was always surrounded by people but in his death he was almost completely alone...so incredibly heartbreaking. By the way, before reading this book, I somehow had it in my head that Daisy died at the end, and I had no idea that it was Gatsby who died instead. That was definitely surprising! So that's what I thought about the book. Very mixed feelings, but I was drawn in enough to immediately go and add the 2013 film adaptation to my Neflix queue and bump it up to the top of the list. :) Now that I've watched the film, here's what I thought about it and how it compares to the book. At first, all I could see were the differences between the two. Well, really just differences in how I had imagined characters and situations in the book to how the film interpreted them. Like Nick. While reading the book, I imagined Nick to be a worldly, confident sort of guy. In the movie, he's so goofy and awkward, at least towards the beginning of the story (I'm not talking about the non-flashback bits at the sanatorium, by the way). Also, Tom's mistress wasn't anything like I expected. She was so tacky. So was the party they hosted at their flat. I have this vision in my head of 1920s-1930s glamour, probably mostly gleaned from classic movies. :) I knew the party would probably be wild, but I somehow expected it to still be pretty classy, you know? This one wasn't in the least. And Gatsby's parties seemed over-the-top. Maybe this kind of wealth and extravagance was realistic, but I sure wasn't imagining anything that crowded and huge and crazy when I was reading the book. The movie itself was stunning visually, but combined with the breakneck speed of it all, it was quite overwhelming. There were a few quiet, subdued scenes, but watching this movie often felt like getting whiplash. Also, the cinematography had almost a fantastical feel that I wasn't expecting. Also, at first the music was a little jarring. I knew about this before watching the film, but the soundtrack is mostly rap and hip-hop inspired stuff. I don't even like that kind of music, anyway, and I do love jazzy music, so of course I would have preferred more authentic and appropriate music of that era as the soundtrack. But in some cases it wasn't as awful as I expected, especially when the music did have a little bit of 1920s jazz sound incorporated into it. Honestly, as someone who just read the book days before watching the movie, I felt like this was a really good book-to-film adaptation. It was almost word-for-word accurate in so many places. And here's the weirdest part: I feel like the movie made me appreciate the book more. That doesn't happen very often to me. Watching the film, with its emphasis on the pretty writing and famous lines from the book, made me appreciate the writing style more. Actually seeing the scenes playing out while the narrator was speaking those words made everything click for me. I might have rushed through the flowery language while reading the book because I was anxious to get on with the story. But the film put it back in front of me again and made me realize that there were some beautifully written lines in the story. The Great Gatsby isn't the feel-good type of story I usually go for. It's a bit depressing, but since it's basically a cautionary tale, I guess that's the point. Still, I'm really glad I read it and saw the film. I have a feeling that this is the kind of story that sticks with you. I will be rereading the book in the future, and I think I'll probably appreciate it more each time I do. And I was really impressed with the movie. I will definitely be revisiting it and I recommend watching if you've read the book. In case you're wondering, the film is rated PG-13. There are some content issues, but honestly it was cleaner than I expected it to be with that rating. Just keep in mind that it does take place in the Roaring Twenties, so there is a lot of drinking and immodest dress, plus a bit of violence and some scattered language and inappropriate scenes. What do you think of The Great Gatsby: book, film, or both? My momma and I went to the theatre when the film came out. I had been wanting to see it since I heard about it being released, but was disappointed. I didn't like the fact that they had current music for their soundtrack instead of music from the 20s or 30s. For me, half of my love for a film is for it's soundtrack! I've read the book, and I think it portrays it correctly, too. I think it's definitely one I'll have to re-read and re-watch! I agree with you on so many points here, Kristin. The Great Gatsby is a book that's hard (or impossible?) to say that I “enjoyed”. The characters make terrible choices that frustrate and sadden me, and the train wreck of their lives never stops throughout the whole book. It isn't the type of story that I usually gravitate toward either! I really did enjoy Fitzgerald's writing, but this book mostly made its impact on me as a very well painted portrait of lives lived without any hope. When we ignore Christ and any greater purpose in life beyond chasing after our (selfish) dreams and getting the most out of our fleeting time on earth, this is the result – futility, tragedy, and death. I keep meaning to see the film! My curiosity about how closely it followed the book is now satisfied (thank you! :), but the costuming and wonderful cast still have me excited to sit down and watch it soon. It's sort of like The Hunger Games- it's hard to say that I "enjoy" them! And that's exactly the term I kept thinking while reading the book and especially while watching the film: train wreck. I haven't seen the movie, though. While I was really impressed by the production angle of the movie (or the acting and costuming anyway, the filming, sets were a bit "busy"), like you say, I just didn't "like" the story in terms of it being a "feel-good" type of saga. I mean, I get that it is out there to impart a bigger message but - wow - it's SO sad that everyone ruined their lives and as a result, they lived out the rest of their days in misery. Daisy wasn't worth Gatsby's obsession yet because of his addiction to her, she was his downfall. It's just... sad. Same here. As I've gotten older, I've definitely understood stories like this more as well as their purpose though I still don't always like them. Guess it just makes me all the more sad knowing this isn't just fiction - people do chose to live these lives and are miserable as a result. It's sad.